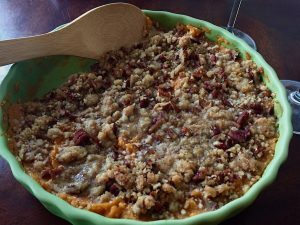 You would certainly love this baked version of the most loved breakfast preparation with drool worthy pecan sauce and yummy orange flavors! 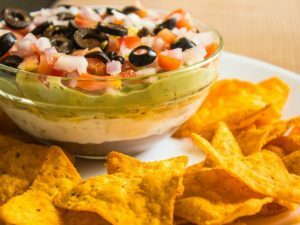 I am sure, this recipe will soon turn in to the family favorite that you would be preparing almost every other weekend! Preheat the oven to 200 degrees C and line a baking tray with aluminum foil. Crack open the eggs in a large bowl carefully. Add orange zest, fresh orange juice, milk, 1 tablespoon brown sugar, vanilla extract, cinnamon powder, and salt to the eggs in the large bowl. Beat the egg mixture for 3 to 4 minutes or until everything is well blended. Brush half of the melted butter evenly over the aluminum sheet. Soak the multi grain bread slice one by one in the egg mixture for 5 seconds on each side and then place it carefully over the buttered aluminum sheet. Repeat until all the bread slices fit over the lined baking tray. 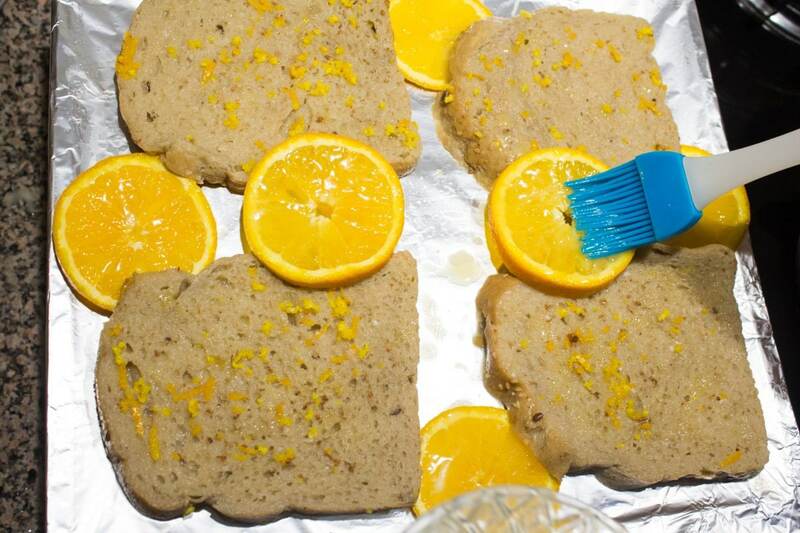 Carefully arrange the orange slices on to the baking tray along with the soaked bread slices. Pour the remaining egg mixture evenly over the bread slices. 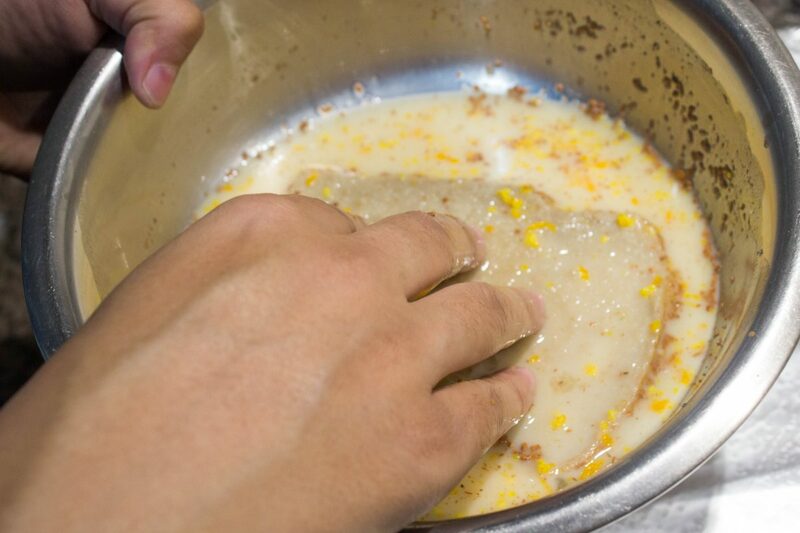 Brush the remaining melted butter over the orange slices and soaked bread slices. 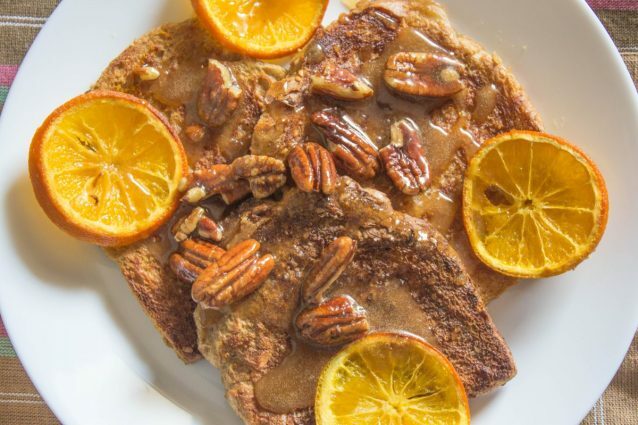 Sprinkle half of the granulated sugar evenly over the orange slices and bread slices and transfer the baking tray in to the preheated oven for about 15 to 20 minutes or until the bread appeared toasted. Flip the bread and orange slices and sprinkle the remaining granulated sugar over everything and again bake the bread until golden brown in color. Arrange the French toasts over the serving platter. 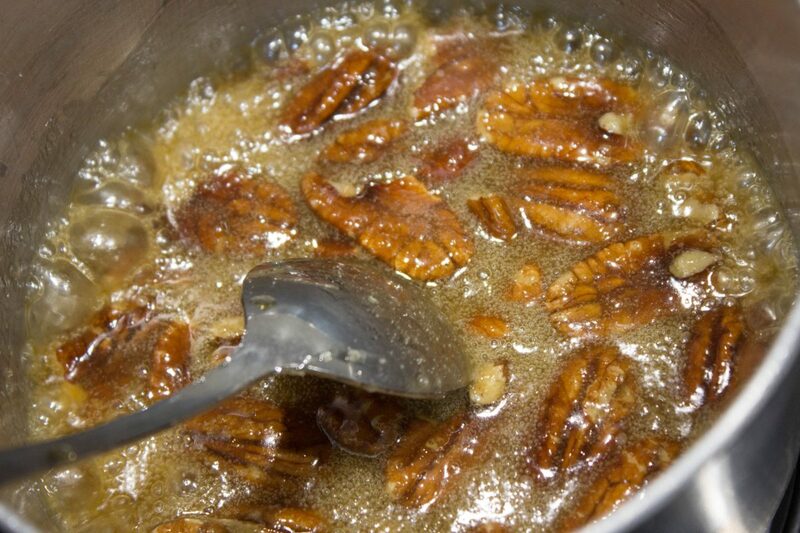 In a small sauce pan, add the pecans, butter, 2 teaspoons of brown sugar, and honey. Cook this mixture on low flame while stirring constantly until it is thick and saucy in consistency. 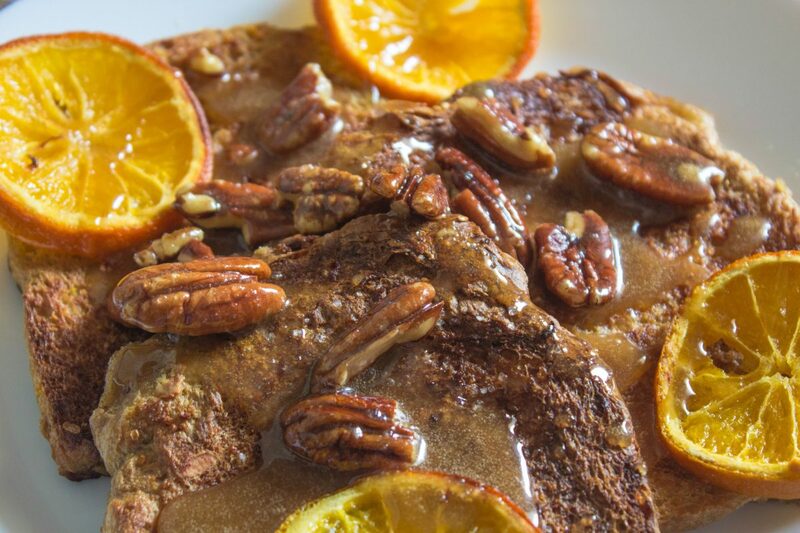 Drizzle the pecan syrup over the French toasts and serve! Maintain the baking temperature and you might need to keep a watch on the bread in the final minutes of baking. Make sure that you carefully remove the egg shells while you break the egg. A wiser technique would be to break the egg in a separate bowl first and then use that broken egg for the recipe. 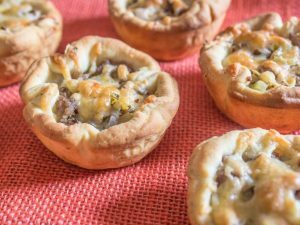 You may prepare the recipe in batches if you are not able to fit all the bread slices in one go over the baking tray. Ration your ingredients wisely so that you can easily accommodate the ingredients for second batch as well. Giant croissant ring: you would love it!